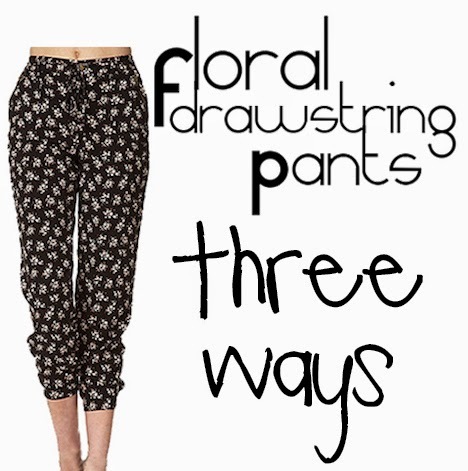 A few months ago I purchased a cute pair of drawstring floral pants from Forever 21, similar to the pair pictured above. I’ve only worn them a couple of times because honestly, I’m not sure how to best style them. Below, I put together three outfits featuring these pants: casual with fun nautical-themed accessories, styling the pants for work with a blazer and strappy sandals, and a weekend boho look.